Colombia will hold formal peace talks with the country's second-largest rebel group, heightening expectations for a definitive end to a half-century of political violence in the Andean nation. 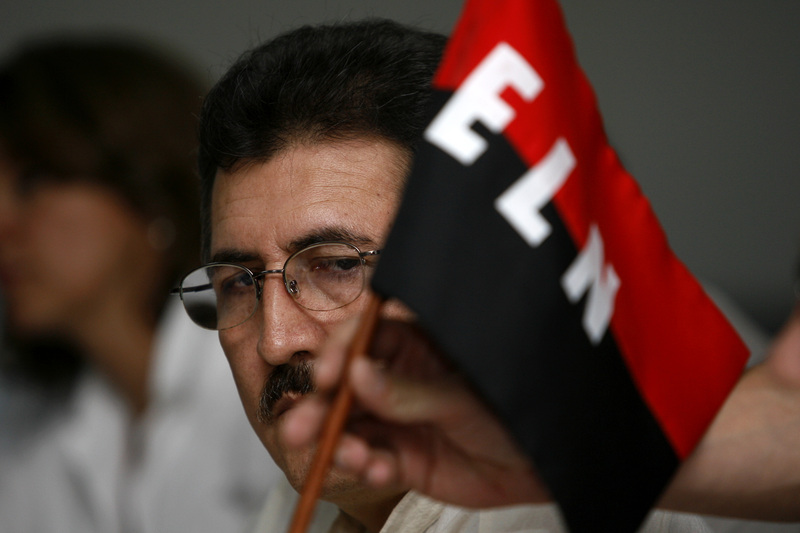 The government has held exploratory talks in Ecuador with the National Liberation Army, or ELN, for more than a year. Negotiators for the two sides announced Wednesday at a press conference in Caracas that those talks will now be formalized, though a start date has not yet been set. Talks will kick off in Ecuador and then continue in Venezuela, Brazil and Chile and Cuba. The five countries along with Norway will sponsor the talks. "If we can make peace, it will be the end of guerrilla fighters in Colombia," said Colombia President Juan Manuel Santos. The government has been negotiating for three years in Havana with the largest Colombian rebel group, the FARC, or Revolutionary Armed Forces of Colombia. The smaller ELN, which the U.S government classifies as a terrorist group, has an estimated fighting force of around 1,500 and relies on extortion and kidnapping to fund its insurgency. Its main base of operations is eastern Colombia, along the border with Venezuela, where it frequently bombs a major oil pipeline. The group, founded by radical Catholic priests, has long prided itself on being more ideologically pure than the FARC. Unlike the peasant-based FARC, the ELN shares a tradition with other leftist insurgencies in Latin America that were formed by urban students and intellectuals the wake of the Cuban Revolution. But many analysts say the same orthodoxy that led it to shun a heavier involvement in Colombia's drug trade also blinded commanders to the opportunity to negotiate a far-reaching deal. In recent weeks, the group kidnapped a local councilman and captured an army sergeant, actions that led President Juan Manuel Santos to warm the group was at risk of missing the "peace train"
Colombia's long-running civil war has killed an estimated 200,000 people.